How can it be Advent already? It’s only four weeks until Christmas. FOUR weeks!! The older I get, the faster time goes. I’ll never forget one spring evening, when I was in high school, my Mom and I were chatting in the kitchen while doing dishes. I kept bemoaning the fact that summer seemed so far off. It was taking for-eeevvv-eerrr to get here and I was impatient. I looked at her like she had seven eyes and mumbled “no way” under my breath. That part of me has not changed over the years. Impatience thy name is Mary. Ha! Once again, Mom was right. Today, as I type these words, I am tempted to ask God to slow time down just a bit. It would be nice to just sit for a moment and take it all in without time passing like a speeding train. I miss the slower pace of my youth. The world seems to be spinning at a much faster rate these days and it’s challenging to not feel like I am missing something. It’s one of the reasons I am actually glad that Advent has arrived to bring an order to my days. It’s something that has been missing since I left my job at the end of September. Order, a way of making my way through the day and feeling like I actually accomplished something at the end of it. I think this has been my greatest challenge since Courtney died. All this time without an assigned schedule. If Courtney did anything for my days as a caretaker, it was to help me focus on the next thing that needed doing. Whether it be giving meds, a tube feeding or taking her to a therapy appointment, that girl kept me on a schedule. I went from her twenty-four hour round the clock care to watching two precious pre-schoolers who required a schedule all their own, to a 50 hour a week high stress job working for the church.I spent eleven months just trying to survive that schedule. Now my days are much quieter and I get to choose what to fill them with. Somehow it’s peaceful and unsettling all at the same time. I guess some things never change. I felt the same way when I was caring for Courtney. I suppose that’s just my natural internal ying and yang. 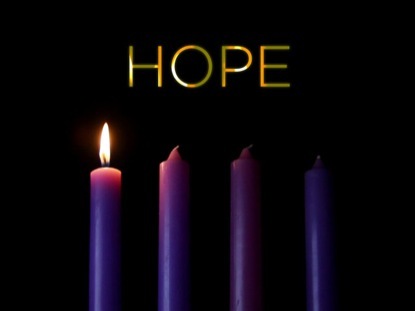 Today is the first Monday in Advent and this week’s theme is “hope”. I have said many times that where there is love, there is hope. Where there is hope there is joy. Where there is joy there is love and so on. It is my own little circle of life if you will. This is the season of preparation and of waiting for Our Savior to be born. For me it’s a season filled with the deep emotions of love and grief. Two years ago I sat by the lights of the family Christmas tree, holding my sweet daughter in my arms, waiting for God to call her home to him. It was a time of great anticipation for our family. Our hearts were breaking in one breath and in another we were hopeful for the day Courtney would be whole and free, running into her Beloved’s arms in heaven. 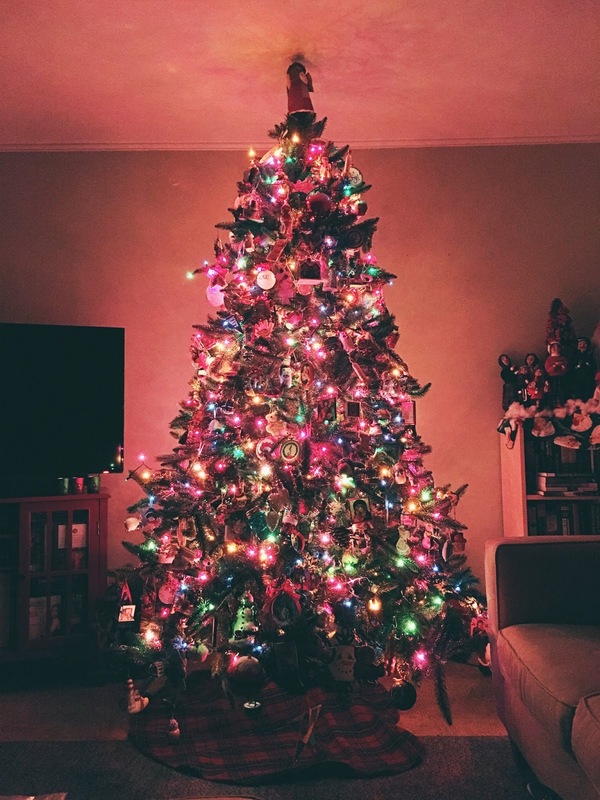 Last night, I sat by that same tree filled with so many memories represented in the ornaments hanging delicately from each branch. As I stared at what we now call “Courtney’s Tree”, I allowed my mind to run through those last weeks of Courtney’s life. What amazes me two years later, is how much joy and peace there was in those last days. We were at peace with letting her go because she was never ours in the first place. Courtney belonged to God and God alone. We just got to love her this side of heaven, which was our greatest joy. We laughed in those days, we cried and we poured ourselves into loving her so we would have something to sustain us in the empty dark days to follow. When I remember her smile, my heart is a little lighter and I am filled with gratitude for our time together. My life has been forever changed by her. Courtney has placed her handprint on my heart and it will never be the same. I don’t want it to be the same. Love changes things. Loving people changes things. Mary’s “yes” to God was the beginning of a love story that changed the world. There is hope in the light of the Saviors birth my friends. There is hope in the light of everyone’s life, whether they still was this earth or have gone on ahead of us. When we love, we are pouring ourselves out just as Jesus did on the cross. We are each allowed to choose God’s love or reject it. I choose to accept it. Just as I chose to love my daughter throughout her life, just as I choose to love my son and my husband through theirs. By choosing love, I choose life. By choosing love, I choose hope. By choosing love, I choose the suffering that comes from giving my heart. They go hand in hand because life and love are a messy business. I look at Courtney’s tree and I see a lifetime of love, hope and joy. I feel the grief that comes from loving so well. I know in my heart that by choosing to hope in the mercy of my Savior, I am choosing to live in the light of His love. It is not an easy life I have chosen but a good one. As we go through this Advent, I pray that you too will choose hope. Wherever you are, whatever you are facing in your day to day life. Remember this from Corinthians…Love never fails. It always protects, always trusts, always hopes, always perseveres. I feel like this sums up this first weeks theme well. God didn’t fail me in taking my daughter home to Him. I didn’t fail Him in my grief and anger over this event. I trust Him with my life, that includes the good, the bad and the ugly. He asks nothing of me but to love Him and those He brings into my life. By loving my daughter, I loved Him. By loving my husband, I love Him. By loving my son, I love Him. So my friends, let’s do this together shall we? Persevere in hope and love without condition. All while waiting for Our Lord to come once again.